Watch the Conversation with Arab WHRDs! Alaa Murabit (Libya) – Founder, The Voice of Libyan Women, and Advisor to UN Women, at age 21 Alaa was – in the midst of the Libyan Revolution – listed by the Gaddafi regime as one of the “most wanted” women due to her activities. The Voice of Libyan Women organised the first ever International Women’s Conference in Libya. 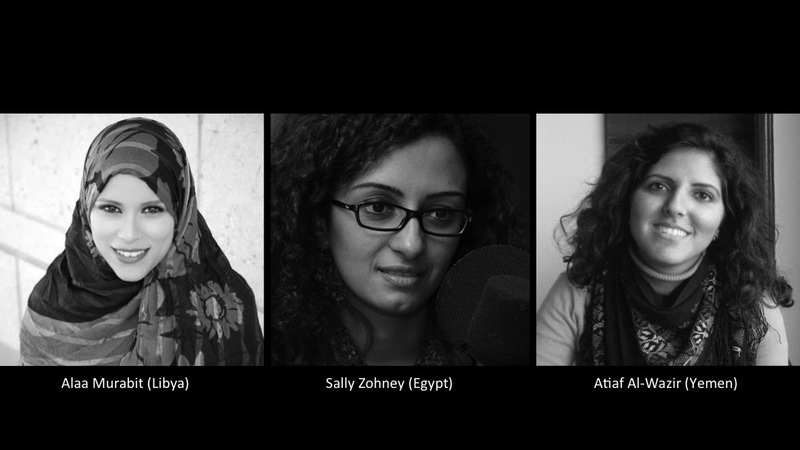 Sally Zohney (Egypt) – Founding member of Baheya Ya Masr, an Egyptian women’s rights movement, Sally has been a active participant in Egyptian social movements since before 2011. Sally organises anti-sexual harrassment rallies and protests in Cairo, and was featured in a recent Front Line Defenders documentary on gender-based violence and harassment against Egyptian WHRDs. Atiaf Al-Wazir (Yemen) – Co-Founder of the media advocacy group SupportYemen, Atiaf is a researcher and writer focusing on social movements in Yemen, gender dynamics, and the role of regional and international policy. Since the end of January 2011, she chronicled the Yemeni revolution on her blog with commentaries, videos, and photographs. Viewers will be able to post questions to the panelists throughout the event. Following the broadcast, the video link will be available on the Front Line Defenders website (www.frontlinedefenders.org).